Tons of different devices help you track how you sleep. Among them are fitness trackers, including several Fitbit models. Sleep Stages, a Fitbit feature, is designed to help you get your best sleep. Some Fitbit trackers tell you not only how long you are asleep but also the type of sleep you get while you were under the sheets. Curious how it works? Here’s a rundown on the feature and how to understand the different sleep stages that it tracks. For you to take advantage of Sleep Stages, you need to be using a device that supports it. 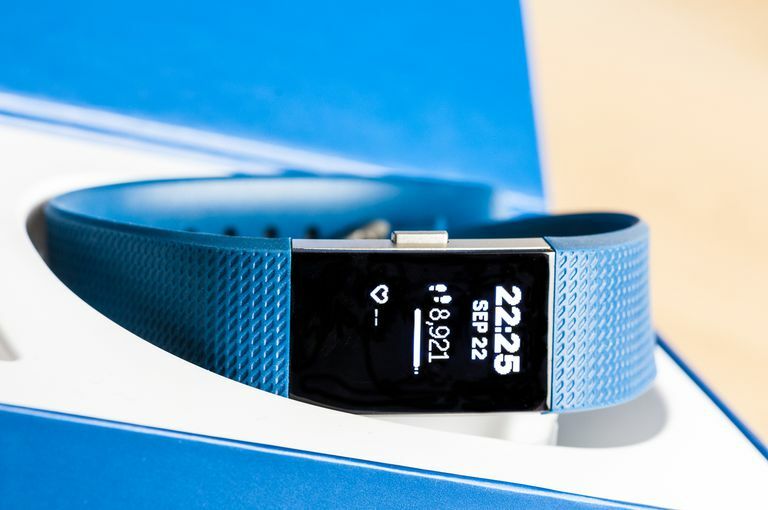 For now, that is limited to Fitbit trackers that already track your heart rate, specifically the Fitbit Alta HR, Fitbit Blaze, and Fitbit Charge HR. These are all wrist-worn trackers, and you need to keep them on for the whole night from when you head to bed until when you wake up in the morning for the feature to work. How Does Fitbit Know I'm Sleeping? If you were to go to a doctor for a sleep study, your sleep stages would be measured by an electroencephalogram, which pays attention to your brain activity. You’d also be hooked up to other machines that monitor your muscle movements. While your Fitbit is not a replacement for going to see a sleep specialist, it detects some of the same things by monitoring your heart rate and your movement while you’re sleeping or attempting to sleep. Using those measurements, you can make some reasonable guesses. For example, if your heart rate remains about the same and you don’t move for an hour, then chances are good you’re asleep. Fitbit monitors your heart rate variability (HRV) while you sleep, which helps it determine when you’re moving between different levels of sleep. The ratings aren’t going to be as robust as those you get from a doctor, but if you’re looking for some basic information about yourself and how your sleep patterns, it can do the trick. To see your specific sleep results, you log in to the Fitbit app on your iOS or Android device and sync your Fitbit. The app that tracks your sleep is the same one you use to see your steps. When you do, you’ll see a brief rundown of your results in the sleep tile. You need to have slept at least three hours for Sleep Stages to work. It also doesn’t work if you wear your tracker loose on your wrist or when it’s running low on battery power. If you want to see your readings, tap on the sleep time number to go to the sleep dashboard. From there, you can see each stage of sleep represented in a graph form that breaks down how much time you spent in each sleep stage and how close you were to your overall sleep goal for the day. Scroll down to see your sleep results for the day and your average amount of sleep for the week. Tap on any specific sleep section to bring up an hour-by-hour explanation of how you slept and which sleep stage you were in at a given time. The 30-day average and benchmarks show how your sleep compares to other people your gender and age. For tracking, Fitbit worked with sleep researchers and the National Sleep Foundation to highlight four specific types of sleep, which you see in a readout in the morning when you wake up. Awake: When it comes to being awake during the night, many of us think that waking up at all is bad news. Turns out, waking up during the night is a normal part of sleep. In fact, waking up anywhere in the ballpark of 10-30 times in a single evening is normal. So, if you’re one of those people who roll over a few times during the night or get up to pee once or twice, you’re just like everyone else. There’s nothing to be super worried about. Light Sleep: Light sleep occurs when your body starts to slow down at night, it’s that moment when you start to fall asleep, but you could be easily woken. The best example is probably those moments when you’re commuting and fall asleep on the train or in the passenger seat of your co-worker's car. When you’re in light sleep, you may be aware of what is going on around you, and someone can wake you up easily — but you’re still asleep. During this sleep stage, your heart rate decreases slightly from what it is when you’re awake. Just because you can be woken easily doesn’t mean this isn’t a useful stage — light sleep helps a ton with mental and physical recovery, so you can feel better after an hour of light sleep than you did before you started to snooze. Deep Sleep: Deep sleep is the type of sleep you want to have each night. When you wake up in the morning and think “Gosh, that was a great night of sleep,” you probably had a lot of deep sleep during the night. When you’re in a deep sleep, it's harder to wake you up than it is in light sleep. Your body becomes less responsive to stimuli, your breathing is slower, and your muscles relax. During this sleep stage, your heart rate is regular and your body starts to recover physically from the day. This stage also supports your immune system and can help with memory and learning. Unfortunately, the older we get, the less deep sleep we typically get, although sleep patterns vary from person to person. REM: After you make it successfully through your first stage of deep sleep in an evening, you typically enter REM sleep. You stay in REM sleep for a longer period of time during sleep cycles that occur in the second half of the night. When you’re in REM sleep, your brain becomes more active. In most cases, dreams occur during this stage. During REM sleep, your heart rate becomes more rapid, and your eyes move quickly from side to side. Muscles below the neck are typically inactive during this sleep stage, in part to prevent you from acting out what’s happening in your dreams. REM sleep helps with learning, regulating your mood, and memory. During this time, your brain also processes what happened during the day and consolidates your memories so they can be stored in your long-term memory. Unlike taking more steps to help you get fit, there’s no obvious way to improve your sleep readings. During the week, Fitbit offers some suggestions on ways you can potentially improve those numbers. Limit alcohol consumption. While consuming alcohol before bed may help you fall asleep, it can also contribute to you waking up during the night. Create a regular bedtime and wake-up time. If having a regular bedtime and wake-up time is a challenge for you, set your Fitbit so it reminds you to head to bed at the same time each night and then gently wakes you in the morning with a light vibration. If you’re routinely having trouble getting enough sleep, then it’s probably time to see a medical professional. The readings from your Fitbit may be useful to give your doctor a baseline idea of your problems before appropriate studies or treatments for you are recommended.